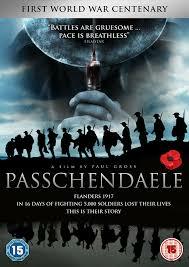 Review: A Canadian war drama about soldiers who took part in the World War I battle of Passchendaele, that was fought over nearly four months in 1917. I enjoyed this film a lot more than I thought I would. I have not come across Paul Gross in a film before and was surprised at just how good he was. The only time I have come across him was in the TV Series Due South, 1994-1999. As well as him directing and acting in the film he also wrote the closing song “After the War”. Half way through this there was a scene which I found really powerful. I enjoyed how there was a bit of romance in as well as it being a war story. This is the most expensive Canadian film yet made, on a budget of $20 million. Filmed in Alberta plus part of the funding came from the government of Alberta. The scenery in Alberta is amazing. The First World War battle scenes are some of the most powerful and disturbing that you will ever see.